Over my 20+ years of experience buying, drinking and selling bubblies, I can say that I usually prefer RM (Recoltant-Manipulant) champagnes as they offer more character and personality. 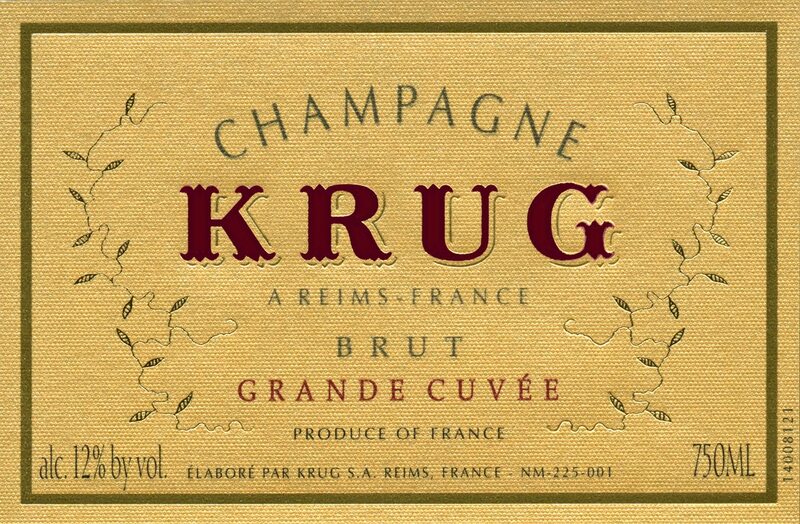 Yet, amongst the NM (Negociant-Manipulant) Champagnes, Krug is probably one of my favorite non vintage champagnes in the market, topping the list of my favorite drinks. 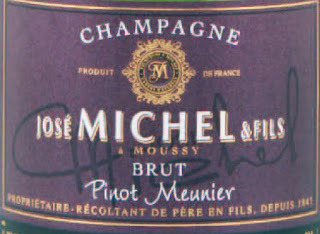 It parts from other champagnes for its consistency and quality, offering a smooth profile, elegant manners, racy attitude, well-balanced figures, lingering finish and an overall “lascive” appeal. I love it. In terms of taste, it is very integrated and refine, with all element in harmony with each other. 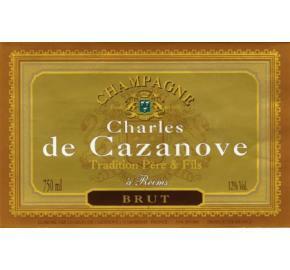 A must try Champagne, which is the result of a perfect blend of 120 reserve wines from 10 different vintages. 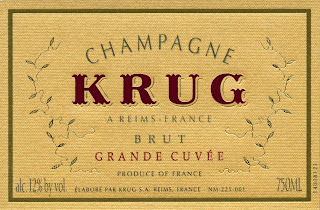 Coming after Krug, Charles de Casanove Premier Cru is definitely drier, leaner and seems to lack of acidity, minerality and smoothness. But the comparison is way too extreme, as we are talking about two totally different champagnes in every way: quality, price and taste. However, a blend of 50% Chardonnay and 50% Pinot Noir, this champagne has definitely drier characteristic and lack of body and texture overall. The dry finish is also short and lack a bit of fruit to compensate and add some volume to it. A persistent zesty lemon peel sensation in the back palate could have been more interesting, if it will have been less sour. Overall, it is not very harmonious and does not necessarily trigger my taste buds to try another glass. Shame, as I tasted better samples from this renowned champagne house. We look into the fridge and found one more Champagne bottle to taste. A blend of Pinot Meunier, Pinot Noir and Chardonnay, the traditional blend of the 3 most planted grape varieties in Champagne blended by the “Societe Avizoise des Vins de Champagnes” (which sounds more like a cooperation than a Negociant-Manipulant), this little champagne “de derriere les fagots” was a fantastic surprise. Fruity, soft, very easy to drink, not too complex but not lacking of interest or character or even personality, it offers nice flavors of yellow fruit like apple and pear, with a good dose of toasted, yeasty aromas mingling with mineral and slight floral nuances. The finish could use a bit more acidity to give it a kick and enhance its freshness; but overall really nice and friendly. This crowd pleasing bubbly good for any occasion won’t deplete your wallet. Founded in 1687, Champagne Tarlant is a classic Champagne house located in Marne Valley, more precisely in the little village of Œuilly about 14 kilometers north-west of Epernay and about 40 kilometers south-west of Rheims, the capitale of Champagne. Tarlant has always been one of my favorite champagne houses, crafting medium to full bodied, complex and rich yet elegant and racy Champagnes from mainly Chardonnay and Pinot Noir planted on their 14 hectares spread out on 4 different "crus", with a total of 55 parcels located in the village of Oeuilly, Boursault, St-Agnan and Celles-lès-Condé. The Tarlant family feels that it is particularly important that their wines reveal the diversity of the sub-soil, the vineyards and the blends of their estate. Each parcel posseses its own identity and the various blends bring the complexity and uniqueness to each of the 11 different Cuvees produced. Recoltant Manipulant (RM) and family run since its creation, Tarlant "savoir faire" consistency and quality were traditionally passed on to each generation with the will to do better than the previous one yet respecting the house taste, profil and character. Currently, Jean-Mary Tarlant represents the 11th generation. He crafted this particular "Cuvee Louis" Extra Brut, which has been named to pay hommage to Louis Tarlant, talented vine grower and winemaker as well as founder of the family estate. A blend of 50% Chardonnay and 50% Pinot Noir. It also says on the back label that it could age further for more than 5 years. However, we are in 2013, and this Champagne is showing so superbly that it could last for another 10 years. I love it. In the glass, it presents a very pale yellow color with light, bright golden reflects. The bubbles were slightly big at first while pouring it in the glass but rapidly became really small, numerous and fast. The nose is fragant, a touch rustic but in a good way, with yellow fruit and "fresh hay" aromas mixed with attractive yeasty, slightly toasted, brioche, mineral and floral notes. The palate is medium to full, rather rich, ample and complex with flavors of yellow fruit mingling with citrus zest and refreshing acidity to balance it. Harmonious, long, flavorful and superbly balanced, the finish is definitely calling for another glass; making this bottle hard to let go and to share. I highly recommend it. On its own or as an aperitif with canapes, but a more complex fish dish with creamy sauce will do more justice to this refined Champagne amateurs delight. And that cleansing, zesty citrus acidity is lingering as I'm writing these last few words, I love it. But this is not a surprise as Cuvee Louis is surely the best of their portfolio. Photo courtesy of www.thewinecollective.com until I post mine. When pouring the mousse was a bit fat and soapy. However the bubbles in the glass were quite small, fast and numerous. 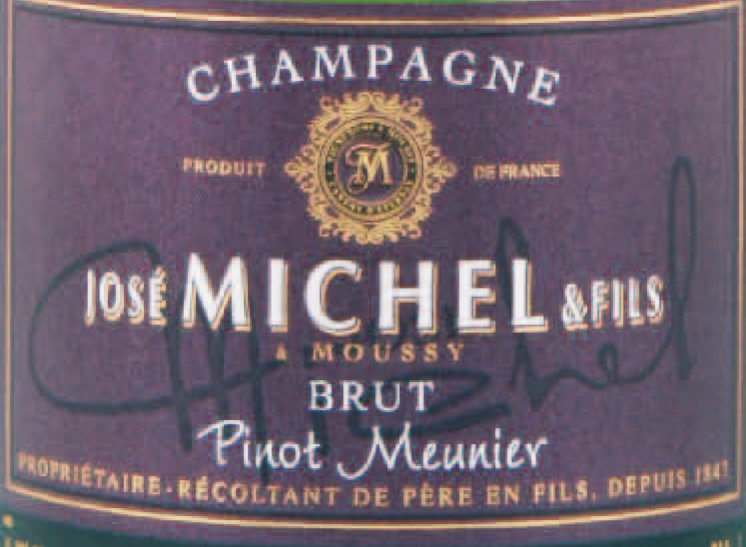 The nose offered aromas of yellow fruit intermingled with yeasty, "briochées", buttery, toasted notes. No real floral or mineral notes as far as I could smell. The palate was rather light and not quite in harmony. The mousse was a bit soapy and fat (here again). Flat at first on the attack, it then developed slowly toward the mid-palate, with unfortunately bitter notes and pink unripe grapefruit like flavors (slightly puckering). Also flat, the finish faded rapidly due to lack of acidity to pick it up. This bottle even presented slight corkiness and metallic nuances that I could not detect until the end of the first sip. Shame, I will have really like to love this Pinot Peunier a bit more than that. The slight corkiness may indicates a bad bottle, maybe. But in terms of Champagne, I never give up, meaning that I will give another chance to this producer before finalizing my verdict. I need to say that I tasted better champagnes from this particular house. On pouring, the mousse was thinner than the first one. Paler than the first one, it showed really pale yellow-white nuances and multiple really "petite" bubbles. Yeasty with enjoyable toasted, brioche notes mixed with yeallow fruit, apple and pear aromas on the nose. 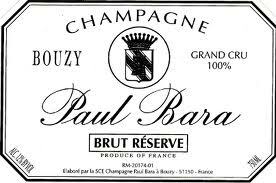 The touch of minarilty and freshness with slight floral nuances were a brizz of fresh air compared to the previous champagne. The fresh, light, bright and crispy palate sparkled with predominant flavors of lime and lemon, very zesty. Well balanced and nicely crafted overall with a twisted lemon skin attitude from beginning to the end. Refreshing as an aperitif or / and with light hors d'oeuvres based with shellfish like fresh oyster. Quite long as I could still taste the finish as I was writing these lines while I had my last sip a few minutes ago. Gentle and easy to drink, this 100% Pinot Noir is not the most complex champagne but it is definitely refined, very enjoyable and easy to come back to, but this is only my opinion, as some of you might prefer a richer and bolder taste. However, I need to admit that I prefer my champagne zesty, fresh and delicate, like a ballerina gently hovering on your taste buds, rather than a fat, buttery and oaky, overly built bubbly.